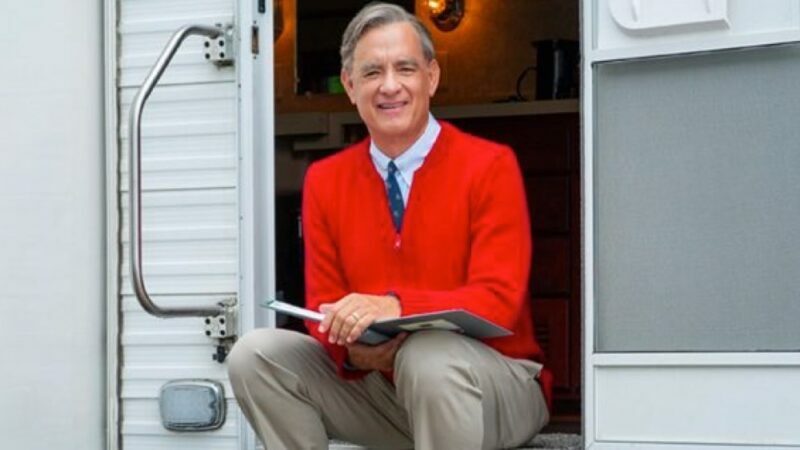 A new image of Tom Hanks as Mister Rogers in A Beautiful Day in the Neighborhood celebrates the late Fred Rogers’ birthday. Last year, acclaimed documentary Won’t You Be My Neighbor? explored the enduring cultural impact of beloved television program Mister Rogers’ Neighborhood, and now the iconic figure is getting the traditional Hollywood biopic treatment. 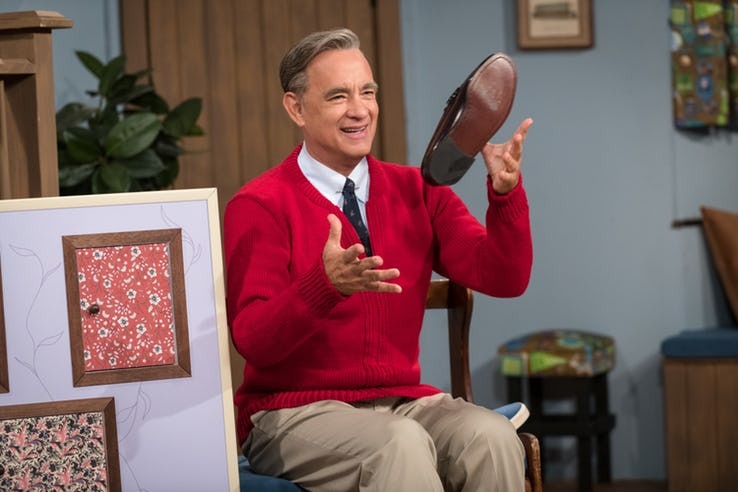 The aptly titled A Beautiful Day in the Neighborhood is directed by Marielle Heller (Can You Ever Forgive Me?) and is slated for release right in the thick of awards season this November. With Hanks playing Rogers, the film is already generating some Oscar buzz. 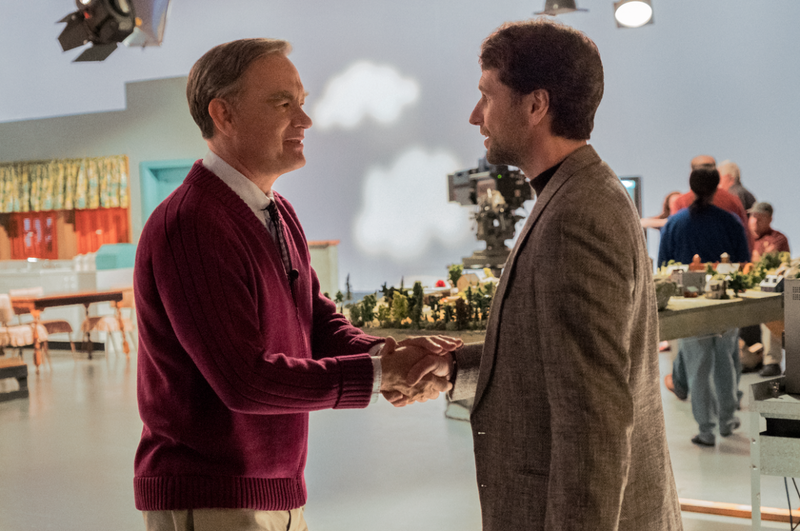 A Beautiful Day in the Neighborhood revolves around the dynamic between Rogers and cynical journalist Lloyd Vogel (Matthew Rhys), who is tasked with writing a magazine profile on Rogers. Their interactions helped change Vogel’s (based on Tom Junod) perspective on life. In honor of what would have been Rogers’ 91st birthday, Sony released a new image (via EW) of Hanks on the upcoming film’s set. 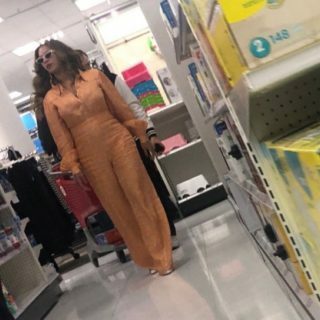 The picture seems to be taken from Mister Rogers’ Neighborhood’s opening, where Rogers would change from dress shoes to sneakers. The film will be released on Nov. 22.